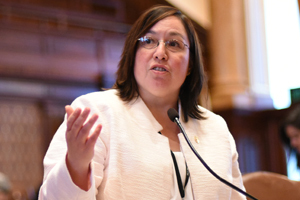 SPRINGFIELD – Senator Cristina Castro (D-Elgin) is sponsoring a measure to ensure out of state businesses making sales in Illinois pay their fair share of taxes and meet the same requirements as in-state businesses. Senate Bill 2577, or the Marketplace Fairness Act, would establish guidelines for what constitutes an in-state business in regard to retailers that are not physically located in Illinois, but that sell to Illinois consumers. The measure would only consider outside retailers as maintaining an in-state business if they make more than $100,000 from Illinois consumers or if there are over 200 transactions by purchasers from Illinois. 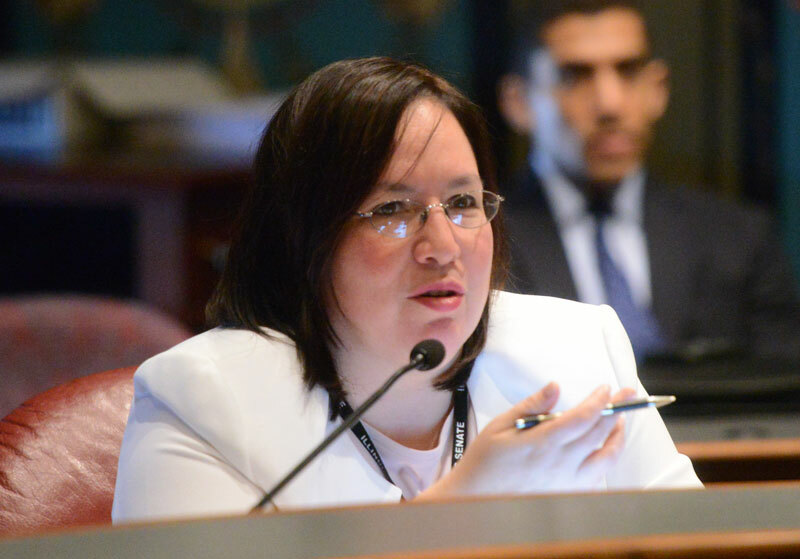 SPRINGFIELD – The director of Illinois’ public health agency should resign, State Senator Cristina Castro said today, pointing to new information that calls into question his priorities and his ability to lead in a crisis. Castro (D-Elgin) is urging Illinois Public Health Director Nirav Shah to resign after emails emerged, as reported by WBEZ radio, regarding the Rauner administration’s bungled response to the Legionnaires’ epidemic at the Illinois Veterans Home at Quincy. 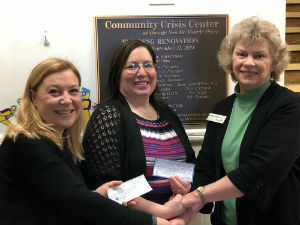 ELGIN – State Senator Cristina Castro (D-Elgin) and Representative Anna Moeller (D-Elgin) presented a donation to the Community Crisis Center of Elgin on Feb. 26. Last December, Castro and Moeller hosted a joint holiday open house and collected $300 in change from guests in attendance. Both legislators wrote matching checks of $350, making the total donation $1,000. 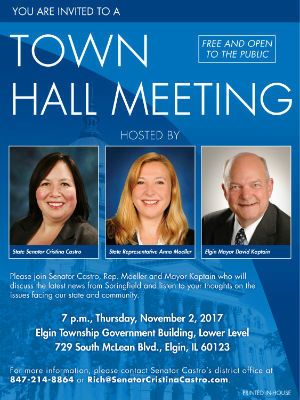 ELGIN – State Senator Cristina Castro (D-Elgin), State Representative Anna Moeller (D-Elgin) and Elgin Mayor David Kaptain will be joining together to hold a town hall meeting on November 2nd. 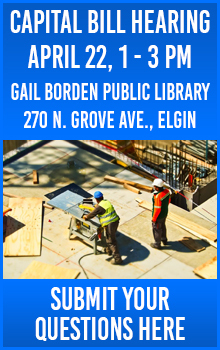 They will be coming together to discuss news from Springfield and have an open dialogue with community members to find out their thoughts on what is happening in our community. The meeting is being held to give residents the chance to ask Senator Castro, Representative Moeller and Mayor Kaptain questions and to discuss important issues surrounding their communities and state. Senator Castro believes that town halls are important in order to receive feedback from local residents. For more information, call Castro’s office at (847) 214-8864 or visit www.SenatorCristinaCastro.com.